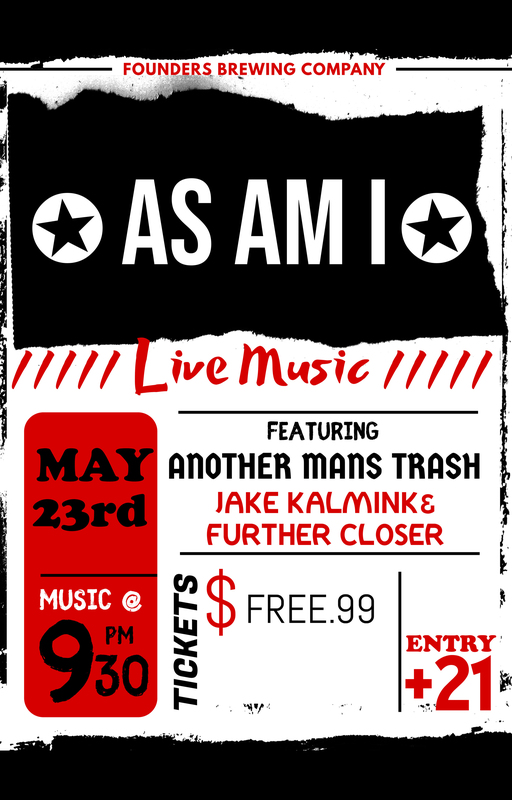 As Am I - Founders Brewing Co.
An unexpected combination of musicians. with smooth melodies and heavy tones; As Am I brings the right amount of classic vibes with a little bit of dirt. and kiss your mother with that mouth. Jake Kalmink of The Fever Haze’s solo music.